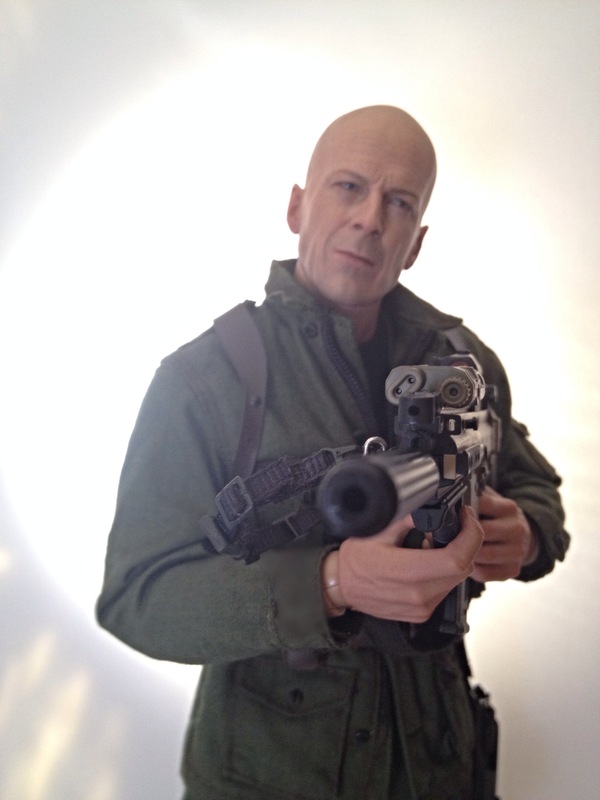 Like most 1/6 scale fans, I was stoked when news of a Hot Toys Joe Colton broke. 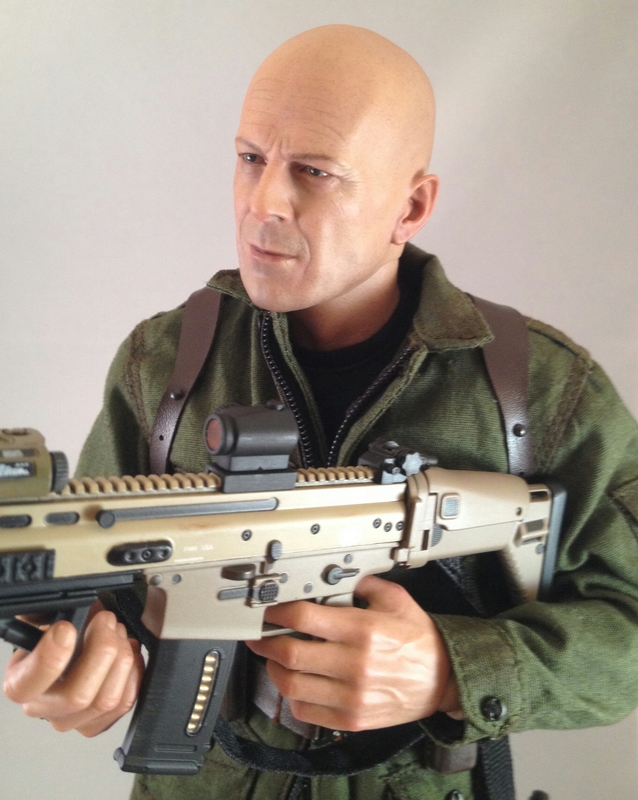 A licensed Bruce Willis had never been produced in the scale before. This figure did not disappoint when it came to the outstanding sculpt resemblance and paint quality of Hot Toys. The cut and sew and accessories also live up to the Hot Toys standard. If I have one complaint it would be the value, the figure is rather plain and spartan for the price tag. That being said it is a faithful reproduction of the movie character but at a price I feel most notoriously frugal Joe fans would balk at. 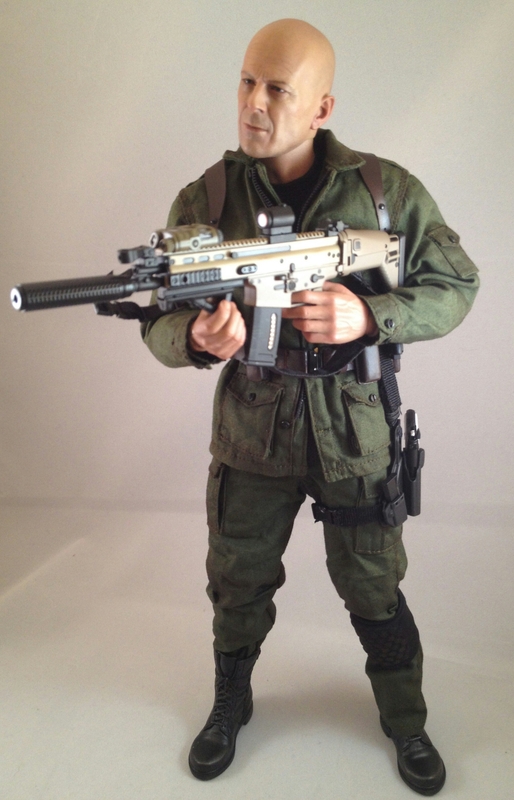 I also want to note his awesome and tricked out SCAR rifle which is one of the finest representations of this outstanding rifle I have ever seen in the 1/6 scale. Did he come with an oven that had pistols hidden in it?